After more than a year of extensive preparation, Cornèr Bank (Overseas) Ltd unveiled September 13 its new Cornèrtrader platform allowing Bahamians to enjoy direct access to buying and selling shares on the global financial markets, including the New York Stock Exchange and NASDAQ. 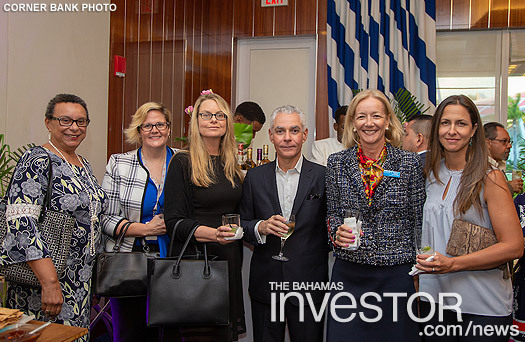 According to Cornèr Bank (Overseas) CEO Christine Russell, gradual and measured liberalization of exchange control by The Central Bank of The Bahamas has paved the way for the right of Bahamians to invest in US markets by reducing cost of exchange. 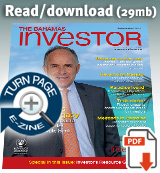 That rate, once set at 25 per cent, then reduced to 5 per cent in February, made the trading platform a realistic prospect for Bahamians. The opportunity, she said, answers a pent-up desire for alternatives to traditional avenues for financial investment – limited local shares, government bonds, real estate and family businesses. 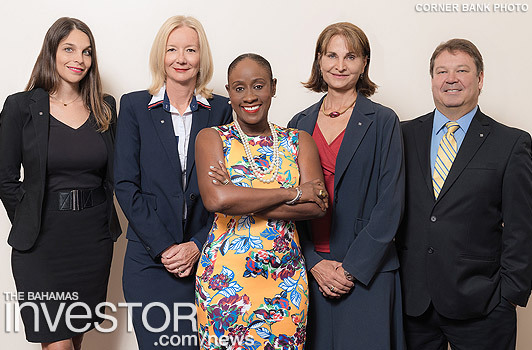 She credited The Bahamas International Securities Exchange (BISX) with introducing Bahamians to the world of participatory ownership, but said the desire to expand beyond the limits of Bahamian companies has long been a part of the Bahamian psyche. “For as long as those of us in this room can remember, we have been consumers of products abroad, but limited in participating in the ownership of the companies that manufacture those products or provide the services we consume,” she noted. The Bahamian appetite to participate in a broader economy, said Russell, can now be satisfied through Cornèrtrader, a platform that opens up a new world of opportunities in international trading. Cornèr Bank will facilitate the Central Bank’s approval process, ensuring a seamless ease of business for all clients. Further, the bank will provide educational and platform support through regular seminars designed to expand clients’ knowledge base and ultimately enhance their trading experience. Once the account is opened, the account holder has access to up to the minute company information on the more than 150 different product instruments offered as the programme gets underway. Cornèrtrader’s highly professional researchers and analysts in Switzerland where the bank is headquartered and elsewhere provide continuously updated market analysis. The introduction of the trading platform allowing Bahamians direct individual access to US and global markets lands in the midst of two other Cornèr Bank milestones – the bank marks 60 years since its founding and 20 plus years since it opened its Bahamas offices. On hand for the launch was Luca Salzborn, Cornèr Bank Group’s chief operating officer and Cornèr Bahamas executive director based in Lugano, Switzerland. For the Bahamian CEO, the convenience of individual direct access coupled with information at a trader’s fingertips provides clients with the tools they need, but she notes that every investment in a market involves risk. Among those present for the launch were leaders in financial services, real estate, retail and professional services. The Ministry of Financial Services Trade & Industry and Immigration was a major sponsor of The Society of Trust and Estate Practitioners Global Conference held in Vancouver last week.